Adventure games were popular in the early days of the computer industry in North America and Europe, but they didn't immediately catch on in Japan. There were a few produced in that region, but the early releases didn't catch on with the gaming public. ASCII released the first text adventures produced in Japan, Omotesando Adventure and Minami Aoyama Adventure, in 1982. These adventure games had limited popularity, and ASCII wouldn't produce another entry in the adventure game genre for several years. However, when the adventure game genre evolved into the visual novel and became popular with Japanese gaming fans, ASCII continued producing adventure games in this format into the 2000's. ASCII as a separate entity ceased to exist in 2008 when they were absorbed by Media Works, forming ASCII Media Works. ASCII Media Works has continued to produce visual novels, and still does so today. 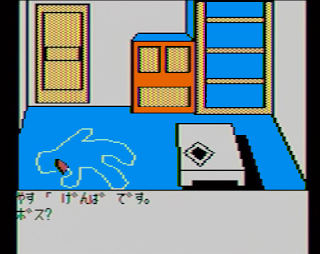 The obscurity of adventure games in Japan was fated to be changed after Yuji Horii created The Portopia Serial Murder Case, which was released by Enix in 1983. It was a hit, especially the 1985 Famicom version which had a point and click menu based interface (which was similar to a three part episodic adventure series released from 1983 to 1984 by T&E Soft titled Legend of Star Arthur). It's success inspired other developers to create similar games. Enix continued to release adventure games and as the genre evolved to visual novels, they continued releasing them. In 2003, Enix merged with Square to become Square Enix. Square Enix continues to develop visual novels today. While we're on the subject of Square, it should be mentioned that they also created influential early adventure games. Their first game was a text adventure with static graphics, The Death Trap. It was released in 1984, before Square was founded as a separate entity. The 1985 sequel, Will: The Death Trap II, was one of the first animated computer games. As the genre evolved to visual novels, they continued releasing them. As stated above, in 2003, Square became Square Enix, and continues to release visual novels to this day. The success of The Portopia Serial Murder Case led to the creation of games which would become known as visual novels. Although they both started from the same style of text adventures, adventure games evolved differently in Japan as opposed to the adventure games in the west. 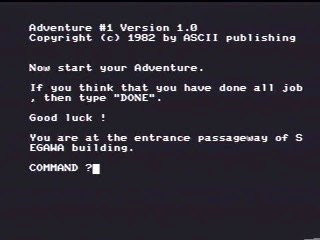 Whereas adventures in the west focused on puzzles, in Japan, adventures evolved based on the narrative of text adventures, sharing the choose your own adventure aspect of these games, where the narrative is laid out to the player, and the player interacts with the game to keep the narrative flowing. These types of games became known as visual novels. One of the first influential developers of this new visual novel style of adventure was Hideo Kojima at Konami. Inspired by The Portopia Serial Murder Case, he created Snatcher, which was released in 1988. 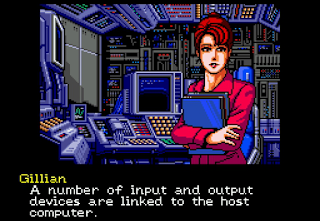 Konami continued releasing visual novels, including Hideo Kojima's own Policenauts in 1994. They still continue to release visual novels today. Visual novels are still popular in Japan, and their popularity has increased in the west as well. One of the companies responsible for the increase of western localizations for visual novels is Capcom. 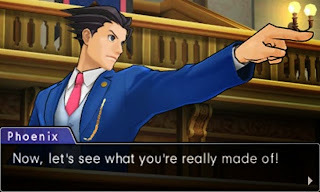 Although they have been developing visual novels since 1986, it was the Ace Attorney series that was responsible for this spike in western popularity. The series began in 2001, but when the Nintendo DS remakes were released in 2006, they received an official English translation. The games proved to be more popular in the west than expected, which led to more official translations. The amount of translations of visual novels into English has dropped in recent years, but they still continue to be a driving force in Japan, still claiming the majority of sales in the home computer market. After the 1990's Western adventure games wouldn't share in that popularity, but they also evolved from their text adventure roots to the adventures that are still developed today, although in a much different style than their Japanese counterparts.